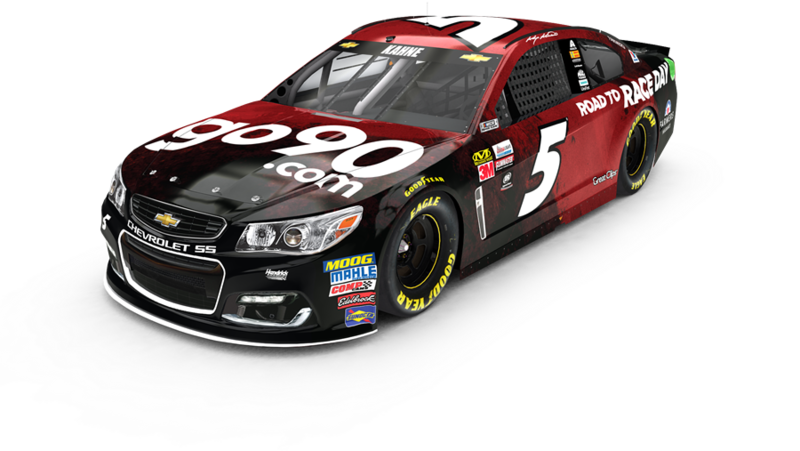 GO90: This weekend at Charlotte Motor Speedway, Kasey Kahne will pilot the No. 5 go90 Chevrolet SS. Charlotte marks the fourth time this season that go90 has adorned the No. 5 Chevrolet SS. The Hendrick Motorsports docuseries“Road to Race Day” can be seen on Complex Networks’ Rated Red available on go90. All eight episodes are now available to watch. KAHNE AT CHARLOTTE: Kahne’s four wins (two in 2006, one in both 2008 and 2012) at Charlotte Motor Speedway place him second among current NASCAR Cup Series drivers in victories at the 1.5-mile track just behind teammate Jimmie Johnson, who has eight. 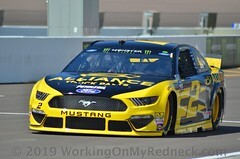 The 37-year-old is tied for fourth in the all-time wins category at the track with Buddy Baker, Fred Lorenzen, Mark Martin and David Pearson. Kahne has led 1,106 laps over 12 races at the Concord, North Carolina, venue, which is second-most among active drivers and 10th all-time. Kahne has excelled at conquering the longest race of the season, with three of his four wins coming in the strenuous 600-mile race. 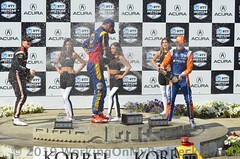 He also has three runner-up finishes at the track and scored a third-place finish in last year’s fall race. CHARLOTTE LOOP DATA: According to NASCAR’s loop data statistics since 2005, Kahne has an average driver rating of 93.6, which ranks him sixth among his peers. The driver rating is a formula that combines wins, top-15 finishes, average running position while on the lead lap, average speed under green, fastest laps, most laps led and lead-lap finishes. He’s second to Johnson in fastest laps run with 710 and is second in green-flag passes with 1,970. He is also fifth in quality passes with 987. Quality passes are the number of times a driver passes another car that is running inside the top 15 while under green-flag conditions. The Enumclaw, Washington, native is eighth in laps run in the top 15 with 5,255. CREW CHIEF WINS: Kahne’s newly appointed crew chief, Darian Grubb, has earned two of his 23 wins at the Concord, North Carolina, track. Grubb visited Victory Lane with former Hendrick Motorsports driver Casey Mears in May 2007. The Floyd, Virginia, native returned to Victory Lane in May 2015 with Carl Edwards. Grubb currently has the third-most wins among active crew chiefs in the Cup Series. COMING HOME: Several of the No. 5 team members originate from North Carolina – engineer Matt Piercy (Conover, North Carolina); engineer and front-tire carrier Michael Oxendine (Lumberton, North Carolina); rear-tire carrier Allen Stallings (Manteo, North Carolina); jackman Joseph So (Salisbury, North Carolina); and fueler Landon Walker (North Wilkesboro, North Carolina). SUNENERGY1 CHEVROLET: This weekend, SunEnergy1, one of the world’s largest privately held solar energy companies, will once again adorn the hood of the No. 24 Chevrolet SS. 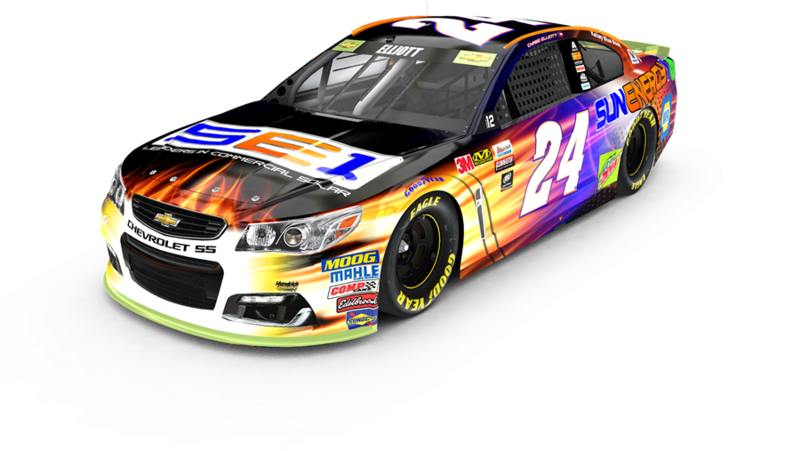 It marks the fourth race of the season that SunEnergy1 has served as the primary sponsor for Chase Elliott. In the most recent appearance, Elliott piloted the SunEnergy1 Chevy at Watkins Glen International in August, when he collected a 13th-place finish. CHARLOTTE STATS: The second-year driver is set to make his fifth start at Charlotte Motor Speedway on Sunday. In Elliott’s four previous starts he has garnered one top-10 finish and led 103 laps. He averages a starting position of 11.5 and finishing position of 24.2. Elliott has also made four starts at Charlotte in the NASCAR XFINITY Series, where he garnered three top-10s, led 66 laps and earned a pole award in October 2014. DOVER REWIND: Elliott led a career-high 138 laps on his way to a second-place finish Sunday at Dover International Speedway. With the finish, Elliott and the No. 24 NAPA AUTO PARTS team advanced to the Round of 12 in the NASCAR Cup Series playoffs. MEET ELLIOTT: Elliott will appear at the Under Armour Factory House store at the Charlotte Premium Outlets (5524 New Fashion Way, Charlotte, NC 28278) on Friday, Oct. 6, from 10-11 a.m. local time. Photos are guaranteed for the first 125 guests (one per person) on a first-come, first-served basis. HOME SWEET HOME: While all team members currently live in North Carolina, there are three members of the No. 24 team that hail from the Tar Heel State: gas man and engineer Travis Gordon (Richfield, North Carolina), tire carrier Jared Seate (Charlotte, North Carolina) and mechanic Ben Bowden (Julian, North Carolina). PLAYOFF PICTURE: With three races in the rear-view mirror in the 2017 NASCAR Cup Series playoffs, Jimmie Johnson and the No. 48 team are in the Round of 12 and fifth in the standings heading into Charlotte. Johnson posted a third-place finish last weekend at Dover, which was his first top-five result since Dover in June. CHARLOTTE PERFORMANCE IMPRESSIVE: In addition to his eight wins at Charlotte, Johnson has led a total of 1,930 laps around the 1.5-mile track. He has spent over 86.7 percent of all laps run inside the top 15 and has an average finish of 14th. Johnson also holds the record for the driver who won from the worst starting spot in the field, taking the green flag in 37th and driving home with the checkered flag in the May 2003 race. RECENT PERFORMANCES AT CHARLOTTE: In May, Johnson finished 17th at Charlotte. One year ago, Johnson put on a dominating performance, leading 155 laps en route to his eighth win at the track and securing himself into the Round of 8 in the 2016 Cup Series playoffs. RECORD WINS: Johnson is the all-time winningest driver at Charlotte Motor Speedway. Runners up include NASCAR Hall of Famers Darrell Waltrip and Bobby Allison, both of whom have six wins, followed by former Hendrick Motorsports teammate Jeff Gordon with five. PAINTING THE WALL PINK: Johnson and partner Blue Cross and Blue Shield of North Carolina participated in a “Paint the Wall Pink” event on Sept. 27. Johnson and hundreds of cancer survivors gathered at Charlotte Motor Speedway to help raise awareness for breast cancer, as well as paint the pit wall pink for this weekend’s race. Click here for more. CHARLOTTE DRIVER RATING: According to NASCAR’s loop data statistics since 2005, Johnson has the best driver rating at Charlotte with a score of 110.4. The driver rating is a formula that combines wins, top-15 finishes, average running position while on the lead lap, average speed under green, fastest lap, most laps led and lead-lap finishes. 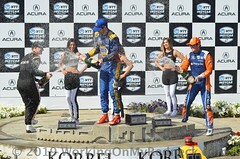 The maximum a driver can earn in each race is 150 points. The driver rating number is used pre-race as a prediction tool and post-race as a performance evaluator. HAPPY BIRTHDAY BIG EARL: Longtime team spotter Earl Barban will celebrate a birthday on Oct. 5. Barban is a native of St. Louis, Missouri, and has been with the team for more than 10 years. PINK HAT FOR OCTOBER: Johnson will help bring awareness and recognition of those who are fighting breast cancer by wearing a gray hat with pink accents for the month of October. The hat can be purchased here. No. 88 Nationwide Chevrolet SS / Dale Earnhardt Jr.
Dale Earnhardt Jr., driver of the No. 88 Nationwide Chevrolet SS, will be available to members of the media on Friday, Oct. 6, at 3:10 p.m. local time in the Charlotte Motor Speedway media center. CHARLOTTE STATS: Dale Earnhardt Jr. has yet to win a points race at Charlotte Motor Speedway, but if you throw out the DNF for engine trouble in the spring of 2013, the Kannapolis, North Carolina, native has an average finish of 14.4 in the last six years (2012-2017) and a career total of six top-five and 13 top-10 finishes. The 1.5-mile oval is also the site of his first NASCAR Cup Series start (May 1999) and first Cup pole (May 2000). ALL-STAR: While Earnhardt hasn’t yet won a points-paying race at Charlotte, the driver earned a victory as a rookie in his first start in the All-Star Race on May 20, 2000. It was a 70-lap event and he took the lead from Dale Jarrett with two laps to go to win the race. Earnhardt has made every All-Star Race since 2000, although he has had to run the open qualifier twice. Both times, Earnhardt transferred to the All-Star Race – once by winning the fan vote (2011) and once by winning the Showdown (2012). LOOP DATA: According to NASCAR’s loop data statistics, Earnhardt ranks seventh among drivers for green-flag passes at Charlotte since 2005, completing 1,868 of them. In that span, the driver of the No. 88 Nationwide Chevrolet SS ranks ninth among drivers in fastest laps run (216), 10th in laps inside the top 15 (4,379) and 12th in laps led at the 1.5-mile oval (162). BRAD PAISLEY HEADLINES JR NATION APPRECI88ION CONCERT: On Saturday night, Oct. 7, Earnhardt is treating fans to a concert featuring three-time Grammy award-winning country music artist Brad Paisley. Saturday night’s concert, presented by Wrangler and Nationwide, is part of the JR Nation Appreci88ion Tour, Earnhardt’s campaign to salute fans in his final season as a full-time NASCAR Cup driver. Earnhardt will introduce Paisley on stage and will participate in a special presentation of “Trackside Live,” a pre-race show at zMAX Dragway broadcast live on NASCAR.com beginning at 8:30 p.m. Prior to Earnhardt’s “Trackside Live” appearance, country music sensation Tim Dugger will rev up Saturday’s show by opening for Paisley. The spectacular concert is FREE for every adult ticketholder to Sunday’s Bank of America 500. For tickets and information, fans can call the Charlotte Motor Speedway ticket office at 1-800-455-FANS (3267) or visit www.charlottemotorspeedway.com. 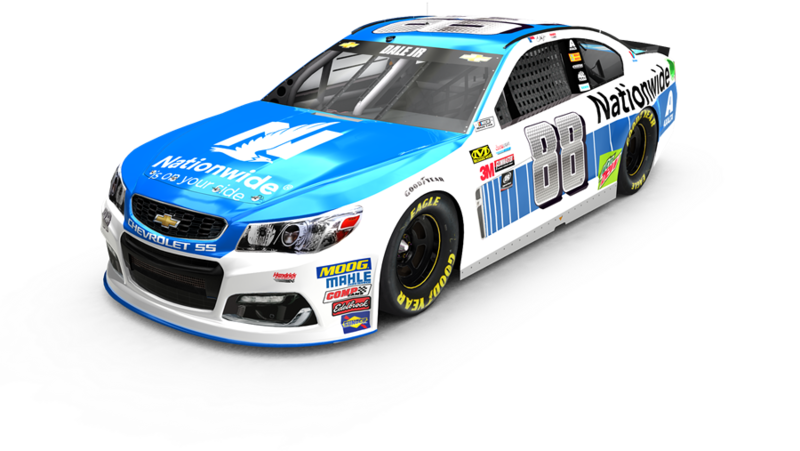 2018 DAYTONA 500 PAINT SCHEME UNVEIL: Both Earnhardt and Alex Bowman will be in attendance for the unveil of the No. 88 Nationwide Chevy’s 2018 Daytona 500 paint scheme on Thursday, Oct. 5. 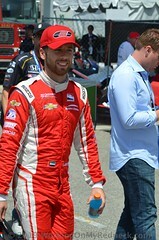 On July 20, Bowman was named the full-time driver of the No. 88 Chevrolet beginning in 2018. Bowman, 24, piloted the No. 88 Chevrolet in 10 of the final 18 Cup races last season in place of the injured Earnhardt. 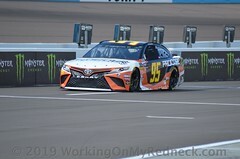 The Tucson, Arizona, native debuted July 17, 2016, at New Hampshire and went on to earn three top-10 finishes with the team including a sixth-place result at Phoenix, where he won the pole position and led a race-high 194 laps. Scroll down to the Hendrick Motorsports section for more information on the 2018 unveil. BOWMAN IN NXS: Through Hendrick Motorsports’ technical partnership with Chip Ganassi Racing, Bowman will drive the No. 42 Chevrolet Camaro in the NASCAR XFINITY Series race at Charlotte Motor Speedway this weekend on Saturday, Oct. 7. He will also race the No. 42 Camaro at Phoenix International Raceway on Nov. 11. 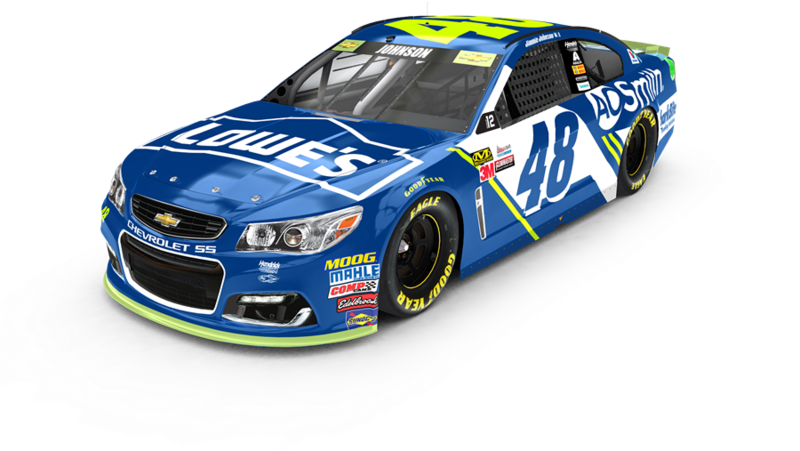 Hendrick Automotive Group’s HendrickCars.com, which features more than 43,000 new and pre-owned cars for sale, will serve as Bowman’s primary sponsor in the Charlotte race with additional support from Vannoy Construction. For more, click here. 2018 CHEVROLET CAMARO REVEAL: On Thursday, Oct. 5, Hendrick Motorsports will reveal all four of its 2018 Daytona 500 primary paint schemes featuring drivers Chase Elliott, William Byron, Jimmie Johnson and Alex Bowman. The 2018 driver lineup will be joined at the event by Hendrick Motorsports owner Rick Hendrick, four-time Cup champion Jeff Gordon, 14-time most popular driver Dale Earnhardt Jr. and 1988 Cup champion Bill Elliott. The 2018 car reveal will be covered live Thursday at 6:30 p.m. ET on NASCAR.comand the Hendrick Motorsports Facebook page. The reveal will be followed by a post-event show featuring interviews with the Hendrick Motorsports team. 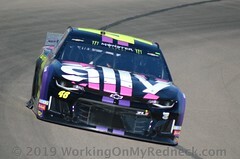 HENDRICK MOTORSPORTS AT CHARLOTTE: Hendrick Motorsports has 19 wins at Charlotte Motor Speedway, which ranks first all-time among teams at the 1.5-mile oval. Jimmie Johnson most recently won the Bank of America 500 there last October and has an all-time record eight career victories at Charlotte. Johnson’s Hendrick Motorsports teammate Kasey Kahne ranks second among drivers competing in the 500-mile event this weekend with four wins at Charlotte. The organization has 60 top-five finishes and 95 top-10s and has led 5,023 laps at Charlotte since 1984. FINDING VICTORY LANE: Hendrick Motorsports’ 19 wins at Charlotte are tied with Dover International Speedway for second for the organization’s most at a track, behind only Martinsville Speedway with 24 wins. The Charlotte victories have come via seven different drivers — Johnson (eight), Gordon (five), Darrell Waltrip (two), Ken Schrader, Terry Labonte, Casey Mears and Kahne. ORGANIZATION STATS: To date, Hendrick Motorsports has totals of 12 championships, 249 race victories, 212 pole positions, 1,023 top-five finishes and 1,726 top-10 finishes in points-paying NASCAR Cup Series competition. Its teams have led 66,856 laps since 1984.